Don’t put off customers with a dirty building that doesn’t reflect the quality of your business. Our expert building washing service will give your premises a facelift. Our qualified team uses the latest commercial equipment and top quality products to break down cobwebs, mould, grime, grease, rust, calcium and much more. Our building washing services in Sydney has an excellent reputation. We’re reliable, pay great attention to detail and we have a track record of completing the job to a high standard. You won’t have to call us back; we get it done the first time. For building facade cleaning contact us for a free quote. We service the Northern Beaches, Upper and Lower North Shore, Eastern suburbs and the Inner West, Sydney CBD, Parramatta, Chatswood, North Sydney, Ryde or further throughout NSW. Contact Pressure and Steam’s Northern Beaches office for a free quote. 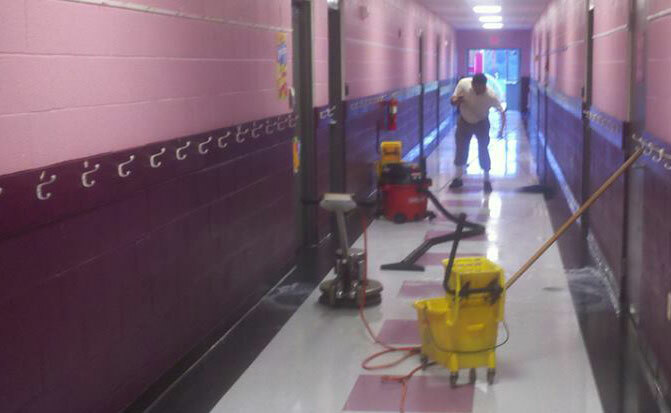 Our building washing experts follow a careful process that will have your business looking its best. We’ll select and apply the most appropriate soft washing solution for the surface and type markings. A soft bristle brush then is used to agitate and loosen up the more stubborn areas. The surface is rinsed with warm or hot water using a low to medium pressure (depending on the surface). Using cold, warm or in many cases using hot water improves the quality of the wash, reduces the need to use as much chemicals and in cases of mould gives a longer lasting result. The head technician working on each commercial building washing job has completed vocational training at ITI.